Naot's Last Chance For Summer Sale! Final Markdowns of the Season! Come to our Outlet between September 29th and October 2nd and enjoy the multitude of savings! Don't miss our final markdowns for summer event! Choose from select sandals, rain boots, slippers, winter boots, handbags and clothing, all at a significant savings! Come early to avoid disappointment as availability for some items is limited. A glimpse of some of the comfortable, stylish, high fashion Naots that will be on sale for the weekend! Miracle and Flirt are shown. 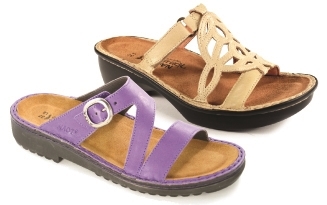 Casual comfort at its best with Geneva from our Low Flexi Collection, and Granada from our Cosmopolitan Collection. Select fall and summer handbags, clothing and accessories also on sale! 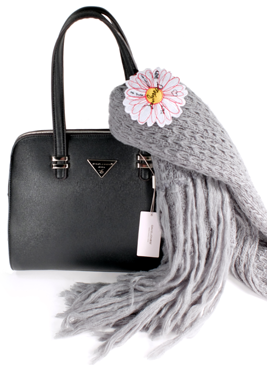 David Jones purse and Desigual scarf shown. 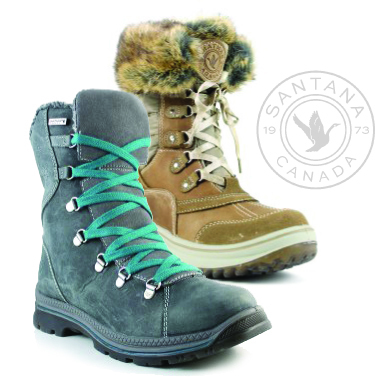 Santana Boots will be 50% off for the weekend! This high quality, weather rated, winter boot is both functional and fashionable. Don't miss out on the chance to grab your winter boots early!